One of the questions that is often asked with regard to Attachment Theory is - what are the Behaviours in a Primary Carer that Contribute to fostering a Secure Attachment in a Child. The question is also often asked in reverse also, i.e. what are the behaviours that contribute to an Insecure Attachment. A related question is what are the corresponding behaviours in the child that are triggered by the various behaviours of the primary carer. This article attempts to answer these questions. As with much of Attachment Theory, The Strange Situation is one of the best tools there is to understand the dynamics of attachment and to answer the questions posed above. The Strange Situation experiment begins with a Primary Carer sitting near a child in an unfamiliar room filled with toys. 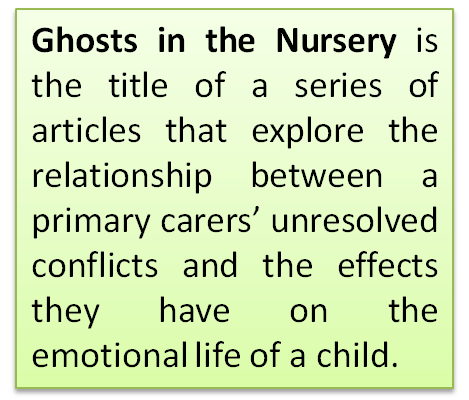 It looks at a child's responses when a) a stranger joins the primary carer in a room and attempts to interact with the child b) when the primary carer leaves the room with the stranger staying and c) when the primary carer returns. This experiment has taught us that it is a child’s response to its primary carer at reunion, rather than separation, that reveals the most about attachment security and insecurity. Let us begin by analysing the responses of the child in the Strange Situation. 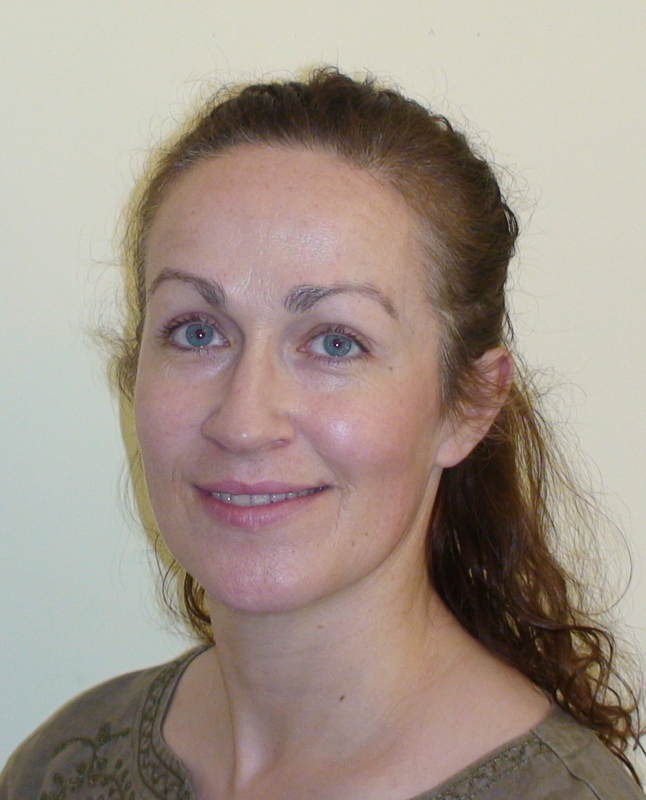 In the experiment, secure children are immediately reassured by reconnecting with their primary carer no matter how distressed they had been by their original separation and are rapidly able to resume play. Avoidant children do not seek the primary carer out when she returns. The avoidant child appears more interested in the toys and does not appear to miss her. Ambivalent /resistant children are not comforted by the primary carer’s return at all and remain distressed. Disorganised/disorientated children appear afraid of the primary carer upon her return. So with a basic understanding of the child’s responses, let us look at the carer’s behaviours that contribute to triggering these. In essence, it is the quality of communication in the relationship between the primary carer and child, that determines the difference between a secure and an insecure attachment relationship. Below are some of the things that contribute to these relationships. Children who are securely attached are picked up quickly by their primary carers when they cry and they are held with tenderness and care. They are only held for as long as they want to be held. Their primary carers tend to blend their rhythms’ with those of their child. According to Ainsworth(1978), “these mothers’ behaviours reflected sensitivity rather than misattunement, acceptance rather than rejection, cooperation rather than control and emotional availability rather than remoteness”. These primary carers read the child’s nonverbal cues and respond. Secure infants communicate their feelings and needs directly, safe in the knowledge that their communication will evoke an attuned response. The primary carers of avoidant children are generally uncomfortable with physical contact rand tend to be emotionally unavailable. These children, as a result react with anger to their mother’s rejection and their own attachment needs tend to be sidestepped. The primary carers of ambivalent infants tend to be inconsistently responsive to their infants attachment signals. This is due to the primary carer’s own state of mind intruding on her ability to tune into her children. Consequently, these children learn to communicate their attachment needs in a persistent way in the hope that keeping up the pressure would keep up the care. 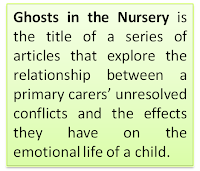 The primary carers of disorganised infants tend to be frightened, disassociated or to frighten their children. These children as a result are fearful of the parent but have no coherent strategy on how to manage their attachment behaviours.